What an amazing night with a nice vertical of the famous Reine des Bois Chateauneuf-du-Pape from Domaine de la Mordorée. 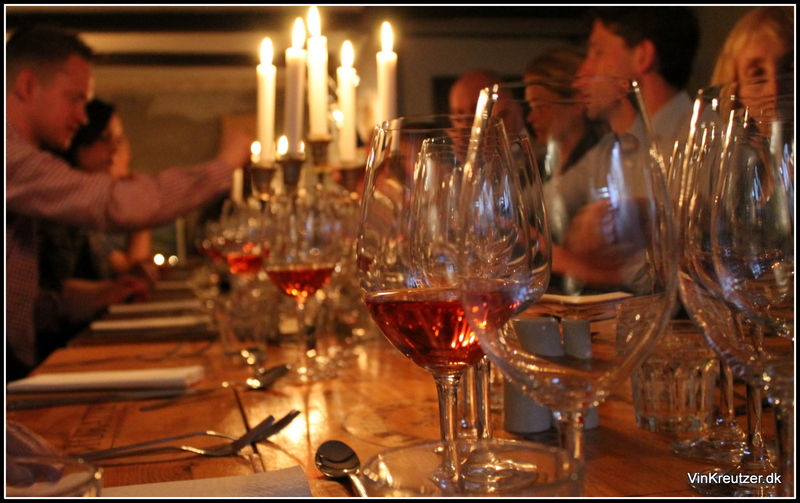 We tasted almost a full range of the wines from Mordorée last night in the beatifull cellar under our shop in Roskilde. Domaine de la Mordorée is run by the 2 brother Fabrice and Christophe that has build this domaine from scratch back in 1986. By buying land in different appellations they now own land in Chateauneuf-du-Pape, Lirac, Tavel and Cotes du Rhone. From the beginning these brothers has cought the attention of the critics eye, and received good ratings on all levels of wine. They have never used much oak, even less new oak, but now they will decrease this even more. Focus is on the terroir in each vineyard and the result of blending the grapes in the right porportions with respect to the current vintage. With close to 60 hectars of vineyard, the consistency of these wines are very high. Both brothers have a clear take on sustainable growing and all vineyards have been classified organic since 2013 vintage. But reading harvest reports from many years ago, a horse was still working the fields with Christophe. These guys don’t do organic to be modern, they do it because they like the earth. We had a fantastic dinner, with food from the neighbour, Convenience Food. The table was set in the cellar, and everybody was smiling. These were the wines we tasted, with my short comments. 2013 Tavel, La Dame Rousse – served with smoked salmon. A very nice match, where the freshness and intensity of the wine went well with the smoke and fatness in the fish. 2011 Reine des Bois, Blanc, Lirac – wow, from the deep collection of older vintages we found this little gem. A few years had added extra complexity to this wine, so now you have both freshness, acidity and soft velvet mouthfeel. This was served with a nice potato soup with marinated white fish. Again a nice combination. 2013 la Remise – the Vin de France bang for the buck wine. Always straight up fruit with fresh and soft tannins. 2013 La Dame Rousse, Cotes du Rhone – nice and a little more rustic with leather and black fruit. 2011 La Dame Rousse, Lirac rouge – not on it’s best day. Showing a little tight on the tannin structure, and not completely clean fruit. 2013 Reine des Bois, Lirac rouge – power-wine with high complexity and fine fresh fruit. I especially liked the combination of power and soft tannins, which lay ground for black fruit aromas. 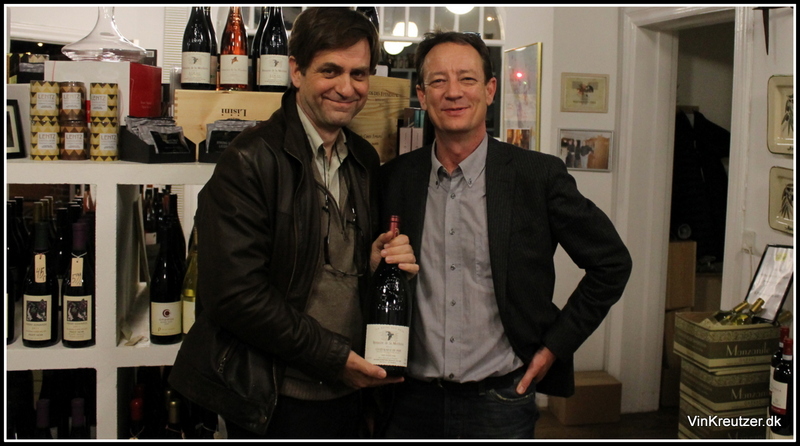 2013 Reine des Bois, Chateauneuf-du-Pape – a powerhouse of all those tight elements. Here we find deep blackberry fruit, tobacco and pebber. The tannins still holds this wine tight, but it already shows all the elements. This will be a classic top notch ‘neuf from Mordoree. 2011 Reine des Bois, Chateauneuf-du-Pape – balanced fruit and soft mature tannins, giving way for a floral, perfumed open wine. Showing lovely at this moment in time, with charming fruit elements and this velvety finish. 2005 Reine des Bois, Chateauneuf-du-Pape – wow this is amazing! It has developed a tiny little bit of secundary aromas. Still this is a young fruit bomb, where black fruits mix with fresh red berries. This wine shows us what we were looking for in the 2013, just better 😉 Here the garrigue goes just behind the mature fruit, and then the fruitintensity and acidity cleans your palate. This is a huge wine, that I wish I had in my cellar. Thank you for bringing this wine. Disclaimer: I work for the importer of Domaine de la Mordorée in Denmark and had the pleasure of Mr. Fabrice Delormes company for the day.